Today I’m busting major Squarespace myths that are holding you back from creating the online business website of your dreams. 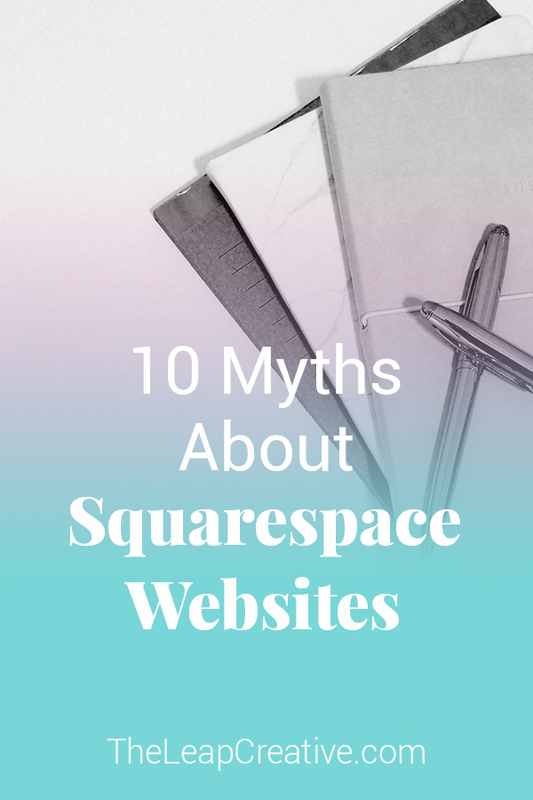 I can't tell you how often I read one of these crazy myths about Squarespace and I'm thinking "No! that's just not true!!" Don't fall for these silly myths - Squarespace is the best platform out there to get your online business up and running FAST. 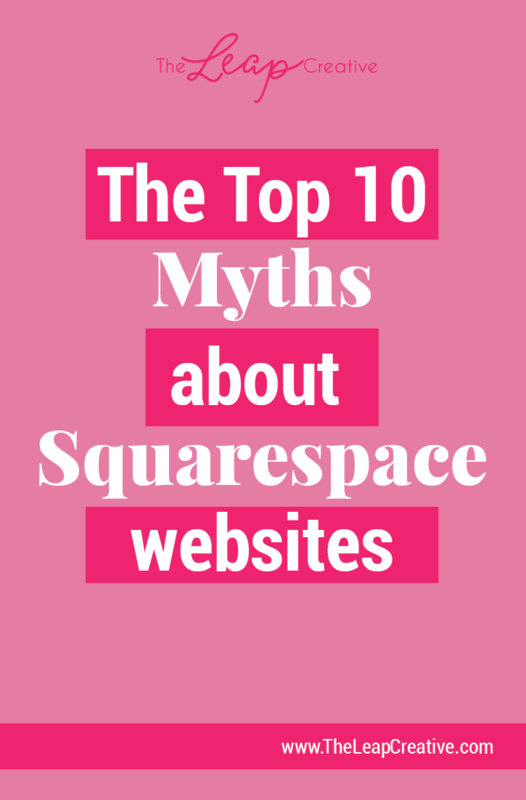 So I'm going over the most popular myths people still believe about Squarespace websites. Oh such a pervasive myth! Squarespace actually is setup with best SEO practices in mind - you just have to use them! There is space to add custom photo names and descriptions, custom site descriptions, you can customize the links of all your pages (including blog posts!) and site headers all make it easy to SEO optimize your website from the start. Uh - what? Not even kinda. Squarespace was built with the creative business in mind - you own your content. End of story. Not so fast - of course you can! Squarespace makes it super easy to connect a third-party domain with their service so you won't have to sacrifice your kickass domain name, it can come with you! Who are you even talking to about Squarespace? Stop it now! Squarespace offers so many cool features that many bloggers and creative entrepreneurs have found they could get rid of a lot of the extra third-party services they were paying for. No more lead pages - you can do that with cover pages in Squarespace for free! No more paying for webinar software - you can host your webinar with the use of three simple pages in Squarespace. 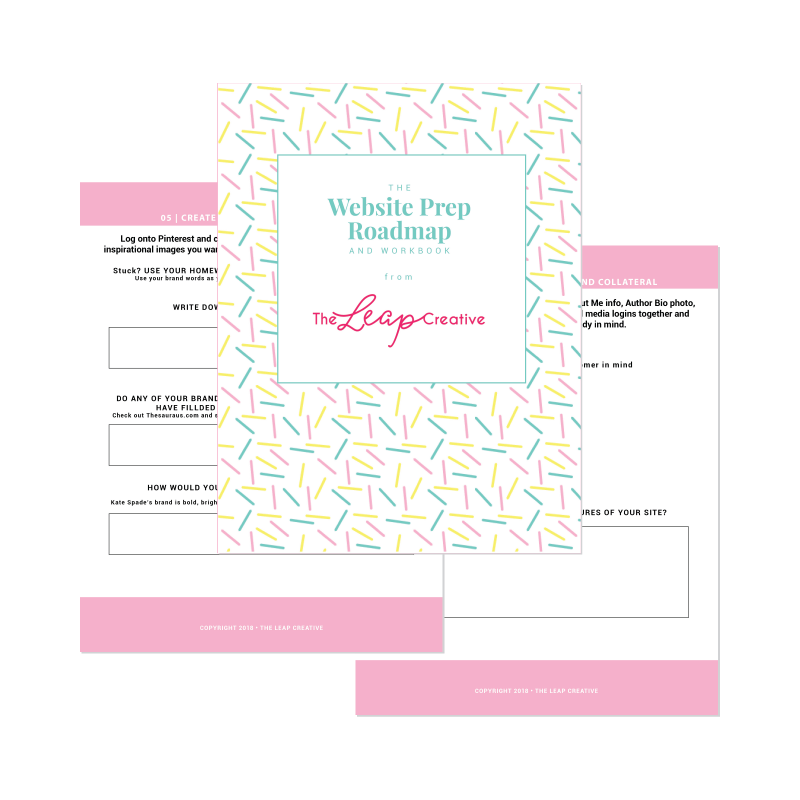 Want to host a free resource library? NO PROBLEM. Plus Squarespace's developers are constantly working on a TON of other options and integrations. I get this hesitation but it is completely unfounded. On the very rare occasion that I have had to reach out for technical support they I had it resolved in less than an hour! I have never received this kind of support from any other tech service and I can't recommend them highly enough! When you're on Squarespace, their support team has your back. Not even kinda! Squarespace has simple code blocks that can be inserted into your site so that your custom integrations can happen seamlessly. Squarespace also has a wealth of information in their user form that can usually help you solve any custom code problem you come across. Trying out templates is a simple click of a button - you can sample the new styles with your current content and layout to make sure that the template will work for your needs before losing any saved settings. It's one of my favorite features for newbies to Squarespace so they can get acquainted with the different styles the templates offer. First - there are multiple templates that offer this functionality, and if you are working with a Squarespace designer they will usually be able to add that functionality if it doesn't already exist using some simple code. But let me say this - think really hard about WHY you want a sidebar on your site. Is it because you've always seen them on blogs and you think that's just how it should be done? Is it because you want to get money by selling ads on your sidebar? I hate to break it to you but both of those tactics have been left behind on the internet with the days of auto-playing site music and custom cursors for your mouse. Sidebars are distracting, they confuse your readers and worse - THEY TELL YOUR READER TO LEAVE YOUR SITE. Nope nope nope! Squarespace is a self-contained platform - that means there will never be a need to update widgets, plugins, software; patch security vulnerabilities' or worry that changing one section might break something else on your site. They also have a ton of third party integrations already setup that are as easy as clicking a button to enable. If you have a more unique integration it can still usually be accomplished by inserting some custom code. Yass! I need a new website!